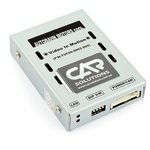 TV in Motion adapter is designed for unlocking image display from OEM video devices while car is in motion. Device is compatible with BMW 3 and 5 series of 2009 model year. 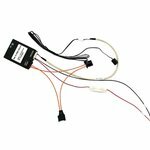 TV in Motion adapter is designed for unlocking image display from OEM video devices while car is in motion. Device is compatible with BMW working on MOST bus.